AT LAST an automobile stoplight has been invented that will project its signals on the street behind in letters large enough to be easily read. 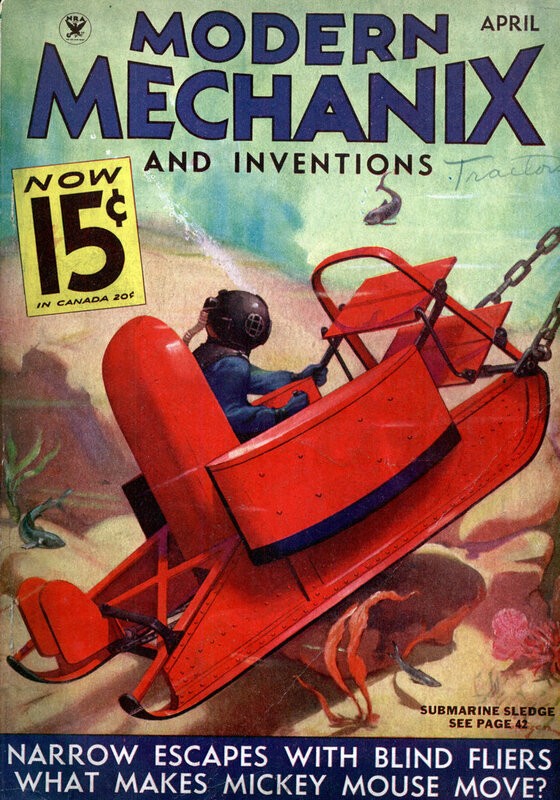 The French invention fulfills in all respects the “Needed Invention” in this field described in the September, 1933, issue of Modern Mechanix. A powerful electric bulb, a lens system, and lantern slides are combined to project lettering onto the street behind. Operation of the indicator may be controlled by the driver, or automatically by direct connection with steering wheel and brake pedal. An interesting invention, but why is it needed? How is displaying something on the ground that the other driver may or may not be able to read or comprehend more clear than a red light flashing at eye level indicating the same thing? I was going to say something to the effect that the turn signals appear to be brighter than the headlamps. I want that on my car thats sweet.